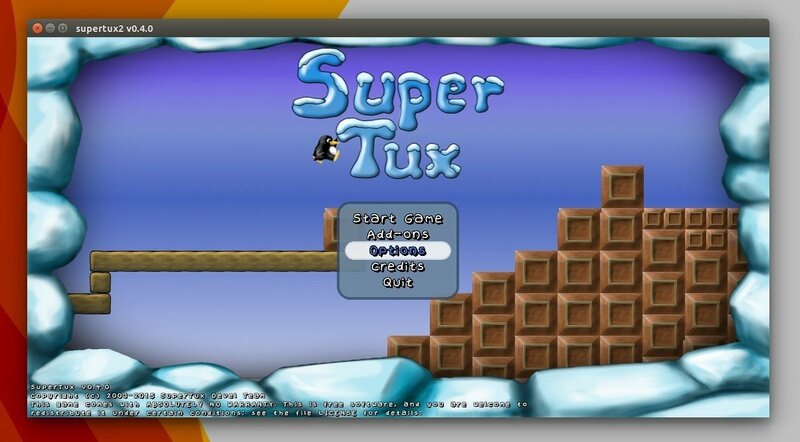 SuperTux, a classic Super Mario-like 2D jump ‘n run sidescroller game, has reached the 0.4.0 release, a new STABLE release since 0.1.3 after more than 10 years of development. Compared to the latest beta, 0.3.5a, SuperTux 0.4.0 features updated translations, many bugfixes, more levels, and much more. See the release notes for details. For Ubuntu 16.04 LTS, the new release has been made into the official Ubuntu repositories, just search for and install the game via Software Center. can you make .deb for ubuntu 12.04 64 bit ?? Sorry, failed to build it on 12.04. I’m not a programmer and don’t have the knowledge to fix this build issue. Superux wasn’t on my NL 16.04 LTS ? But the PPA worked ok !